We visited Seattle on several previous travels. 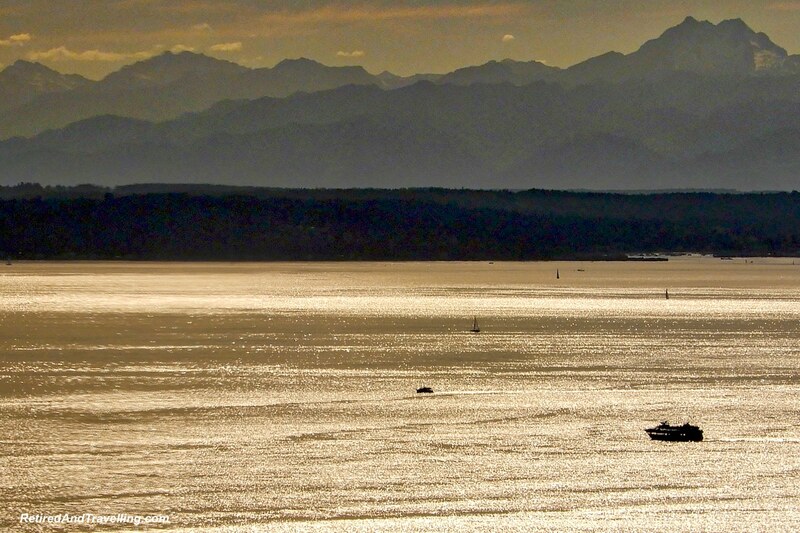 Our first visit to Seattle was when we travelled down the west coast for 4 weeks. That trip we did many of the iconic tourist sites. We stopped in Seattle when we toured the National Parks in the U.S. This visit we were back in Seattle to start an Alaska cruise. 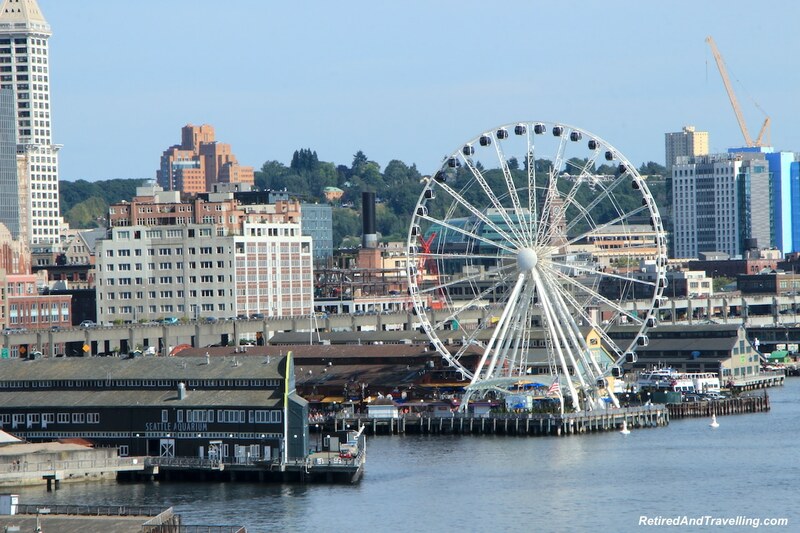 We looked for things to do in Seattle on a return visit beyond what we had already experienced. The weather was great for our entire visit to Seattle. 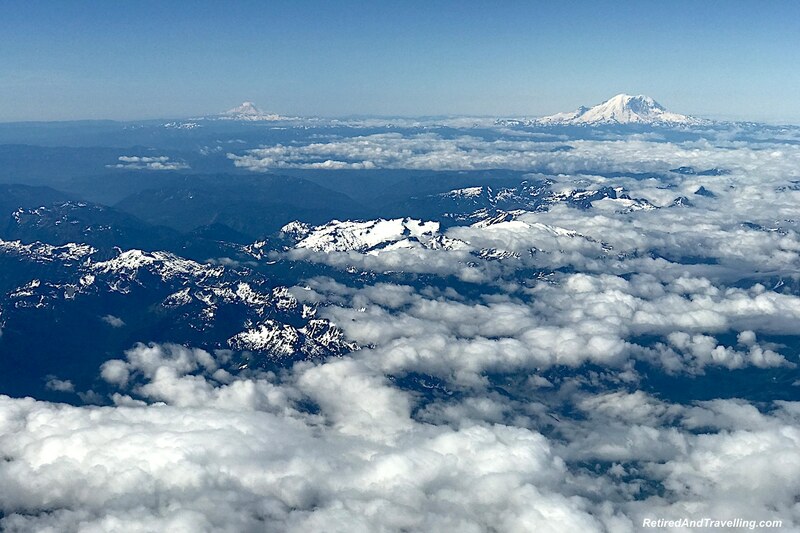 As we flew into Seattle, we got an amazing window seat show. 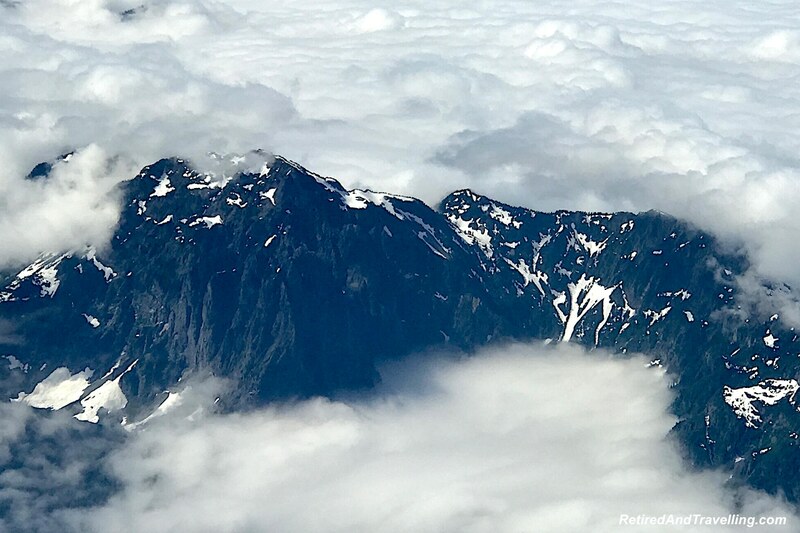 This gave us our first glimpse of the mountains that ring Seattle. 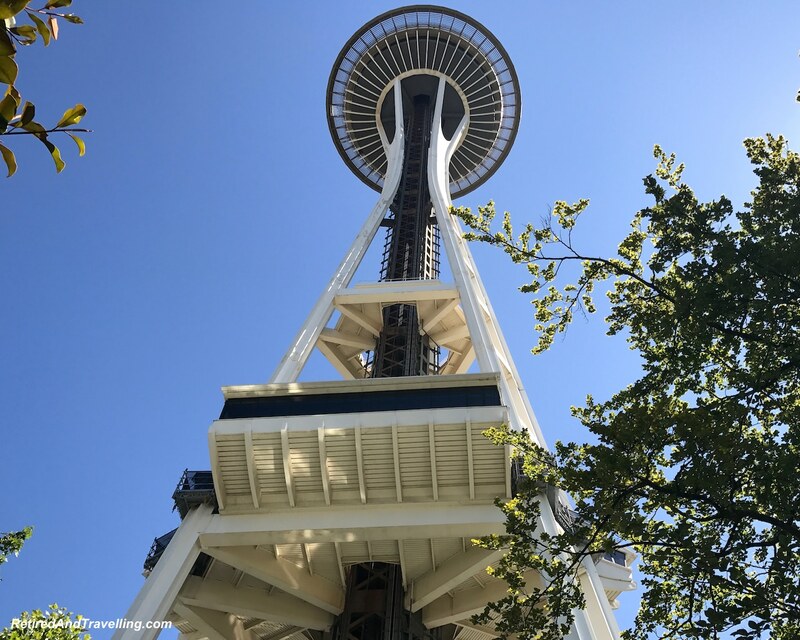 On this visit, we had a chance to try some different things to do in Seattle. 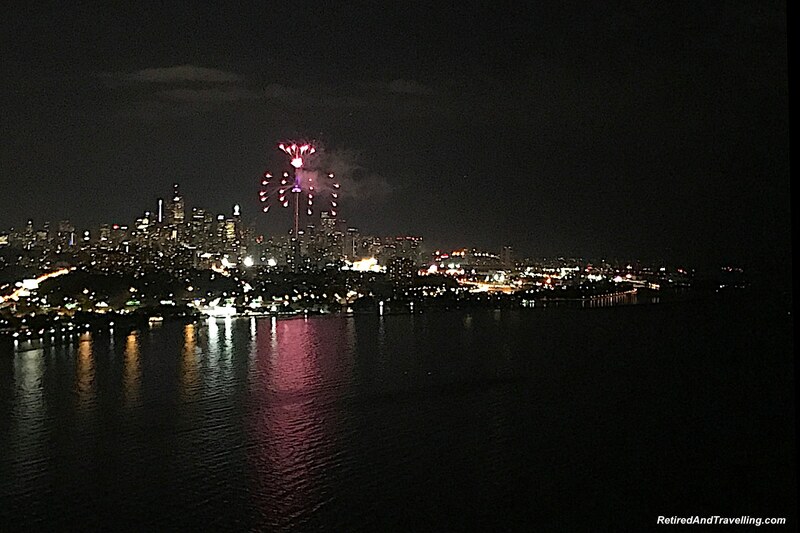 Our celebrations started in Canada Day on July 1st at home in Toronto. 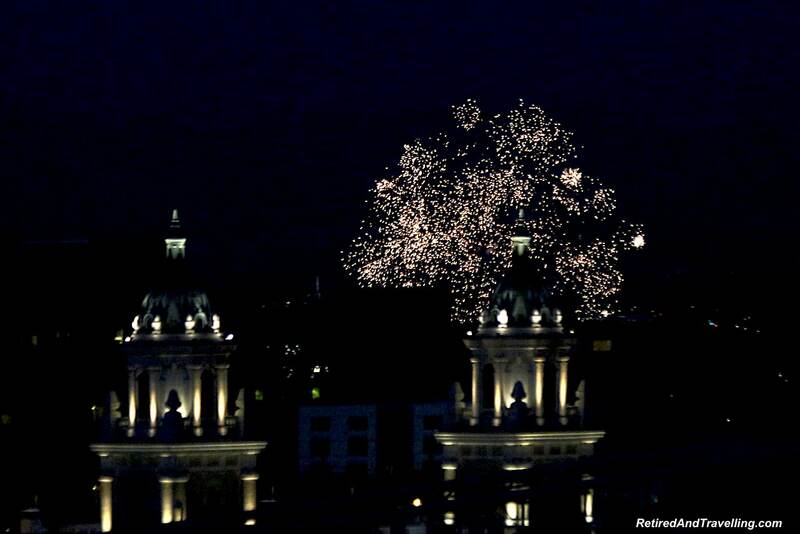 From our roof on the 47th floor we got an amazing view of fireworks for almost 360° around. 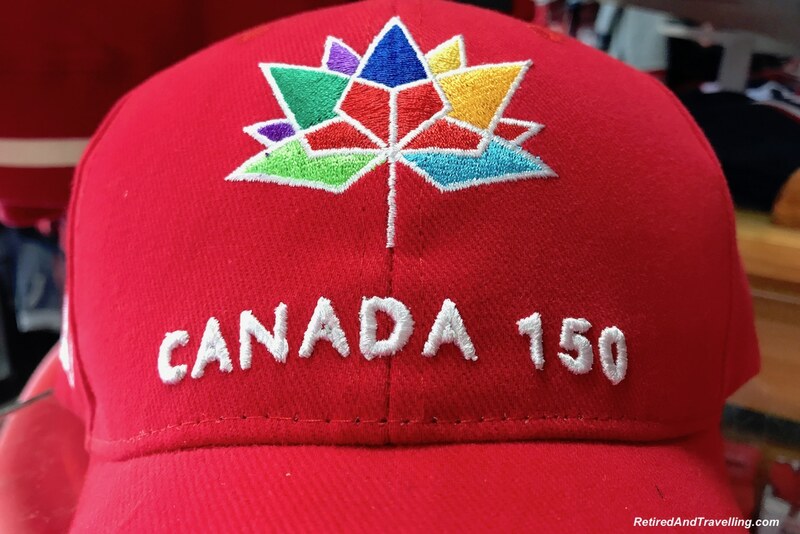 It was Canada’s 150th anniversary so celebrations were great this year. 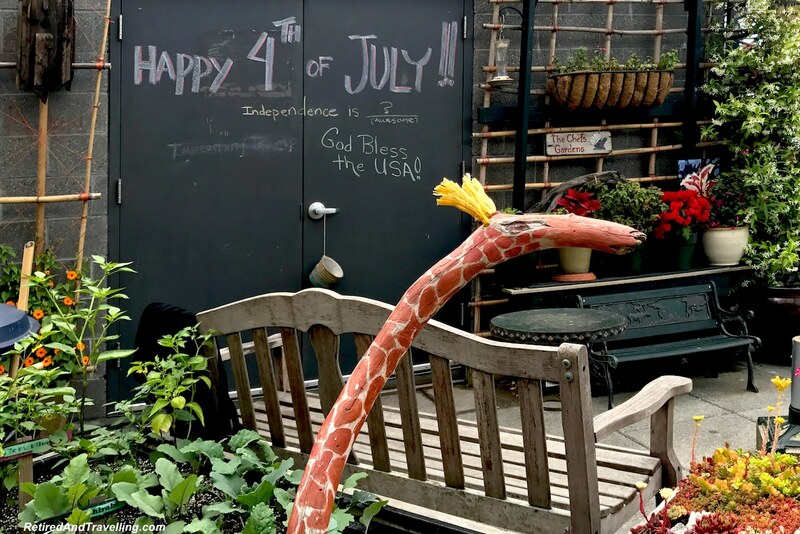 We were in Seattle for the July 4th Independence Day celebrations. We stayed at the Crown Plaza Seattle. Our room on the 29th floor gave us a view out towards the Space Needle. 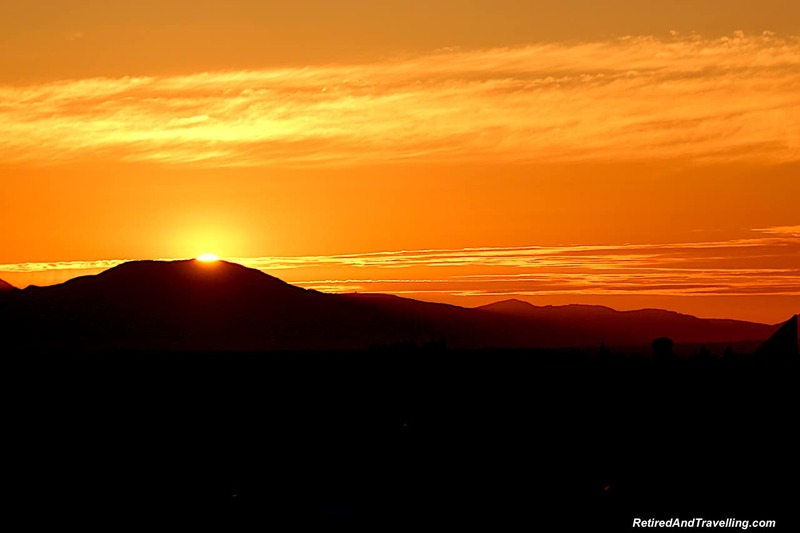 We watched the sun set behind the mountains. The hotel concierge said that there were fireworks from the Space Needle. So we were excited that we might have a perfect view. We waited and we waited but finally gave up after 11:30pm. Later we found out that fireworks are only done from the Space Needle on New Years Eve. 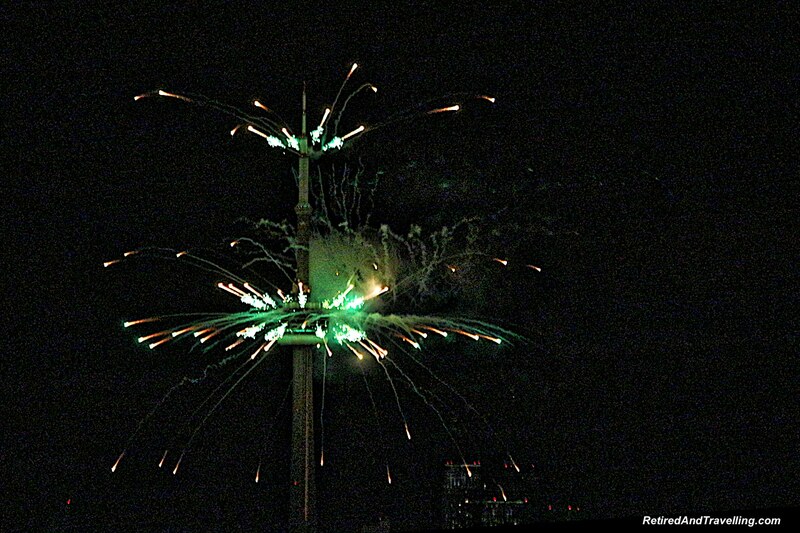 It was a good thing that we saw the Canada 150 fireworks from the CN Tower in Toronto! But we were rewarded with some fireworks displays as we waited. The big fireworks show is at Lake Union. 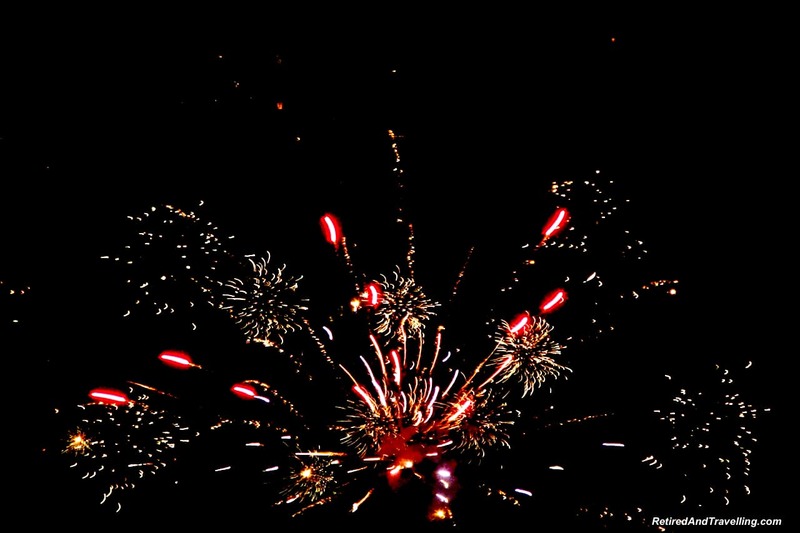 But all around Seattle there were large displays that lit up the skies. Next time we will find a spot by the lake. 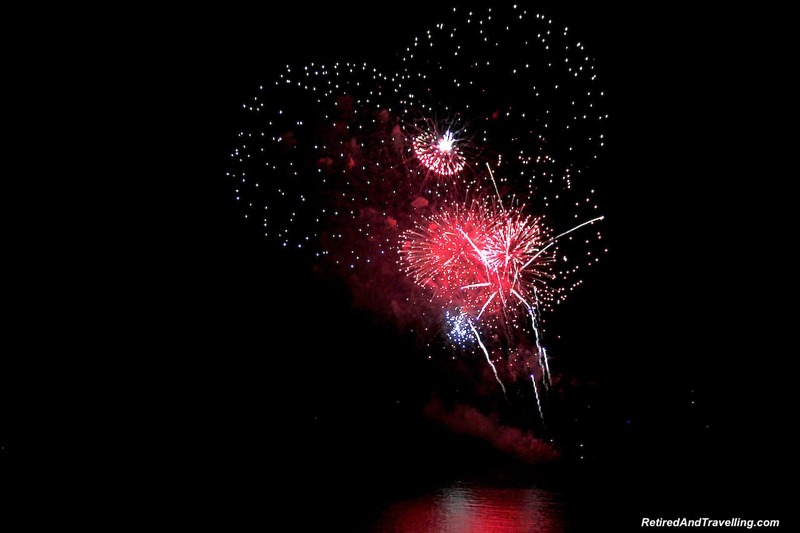 We talked to the hotel concierge who saw the fireworks from a boat on the lake. One of the things to do in Seattle if you plan your vacation right. We we excited to plan to meet up with our friends Pam and John in Seattle (@Always5Star). 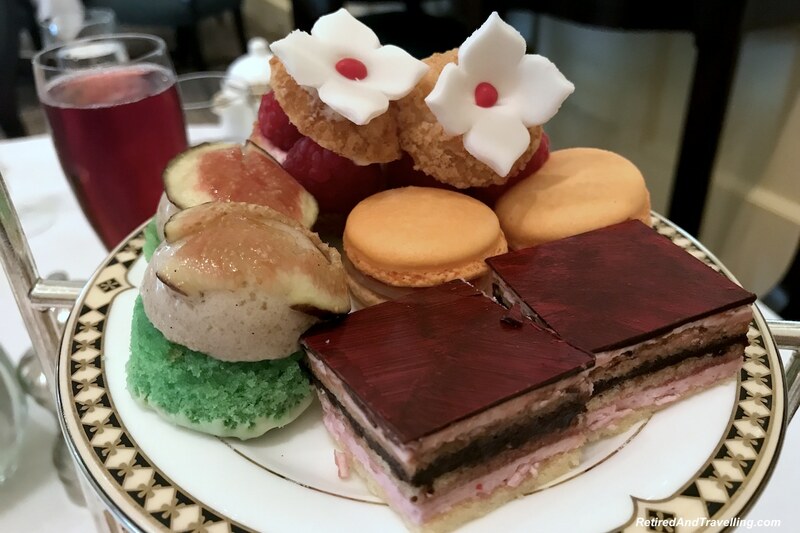 We love to indulge in Afternoon Tea. 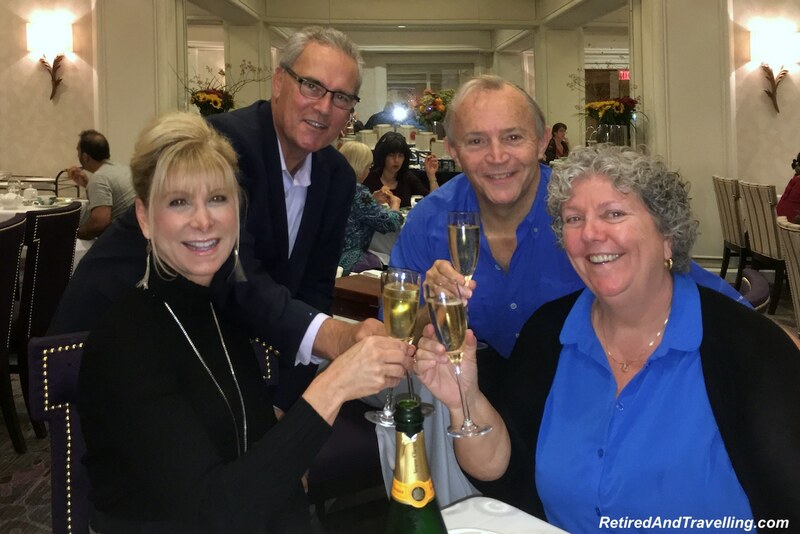 When Pam and John visited in Toronto, we enjoyed a great chocolate Afternoon Tea. We decided that we should repeat this experience in Seattle. 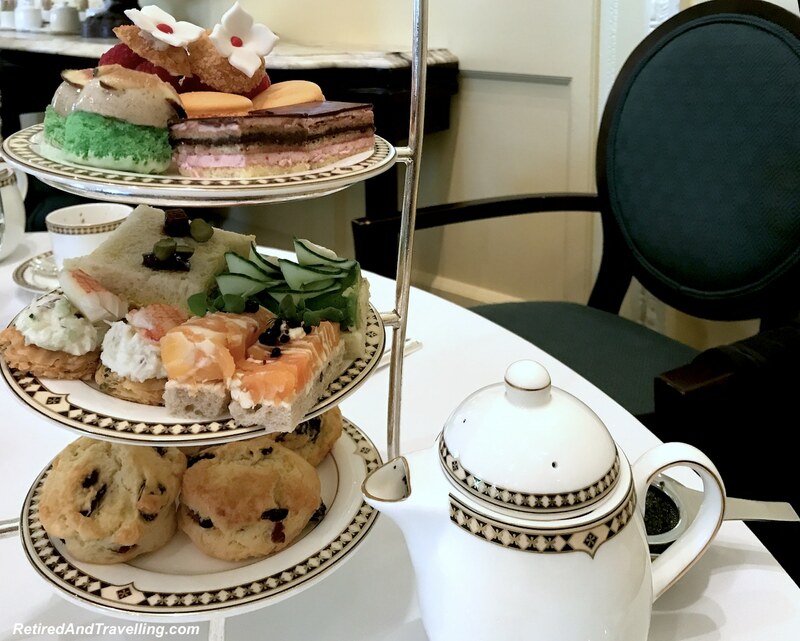 The Afternoon Tea at Fairmont Georgian looked like a great luxury treat. Pam and I met to chat about blog and social media business before the men joined us. 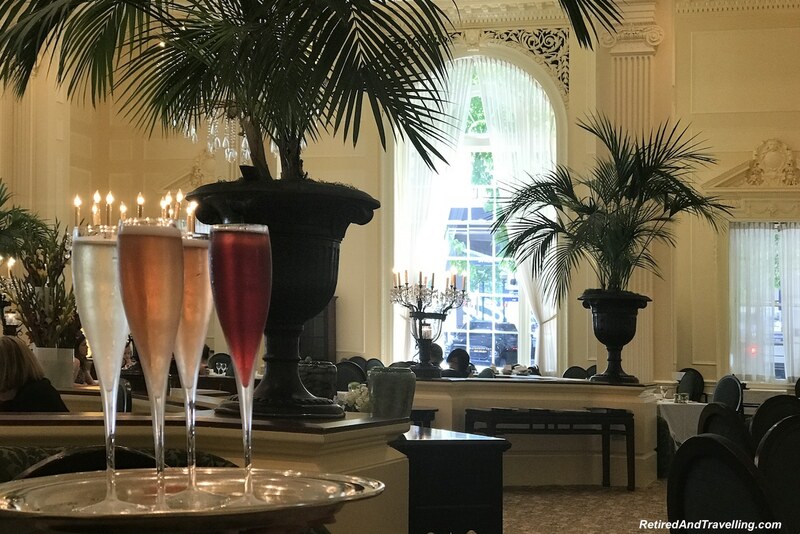 Our Afternoon Tea started in 5 star luxury with a champagne toast! The tea tray had a great selection of sweet and savoury treats. As we chatted for hours, we made our way through most of the tea tray. 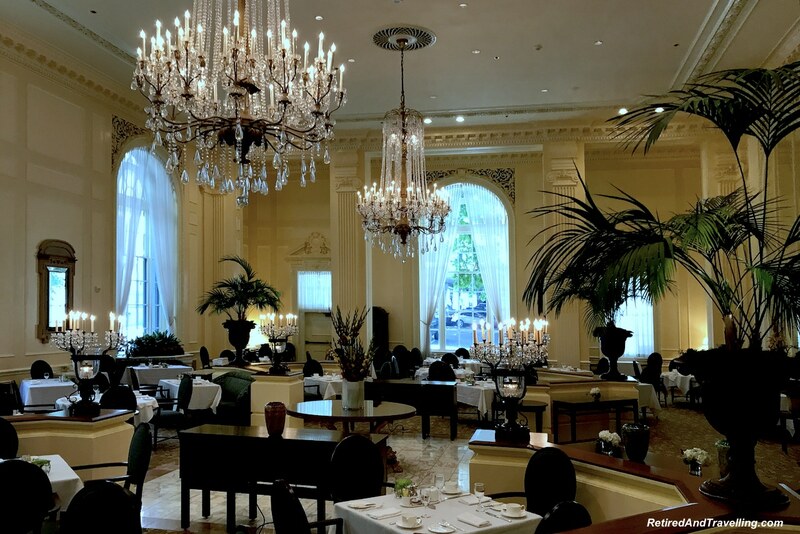 Afternoon Tea was a great one of the things to do in Seattle when you are visiting with friends. 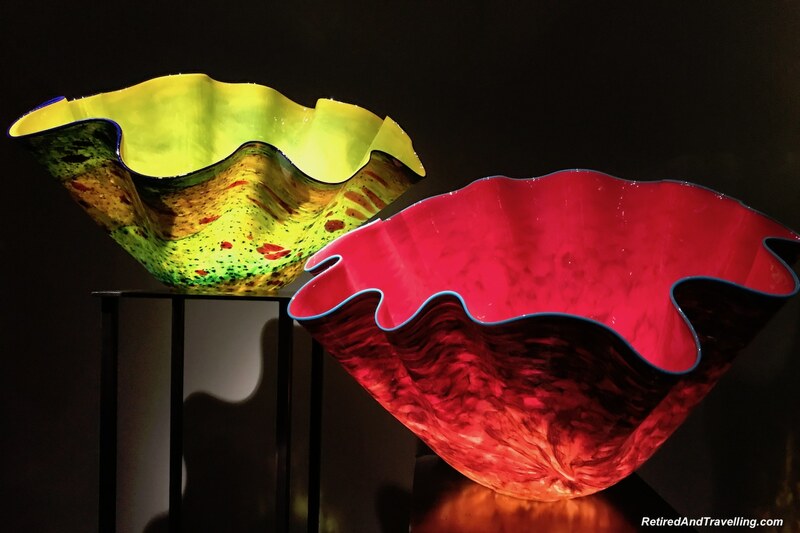 We missed seeing the great colour and glass art of the Chihuly Exhibition when it visited Toronto. 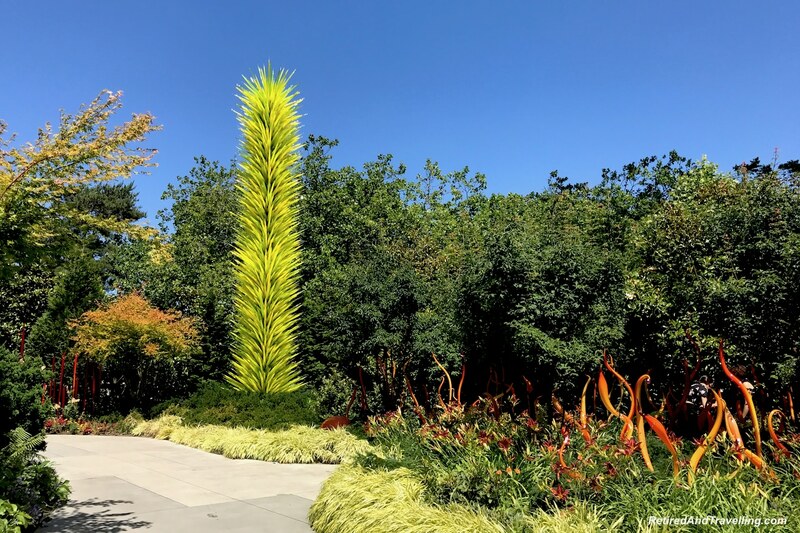 When we found that there was a large permanent Chihuly Exhibition in Seattle, this went to the top of my list for this visit. 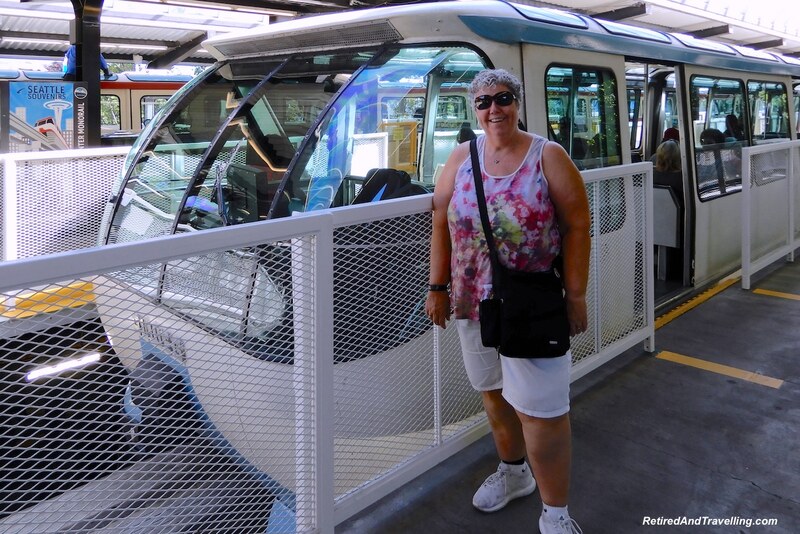 It was a quick trip from our hotel using the Monorail. 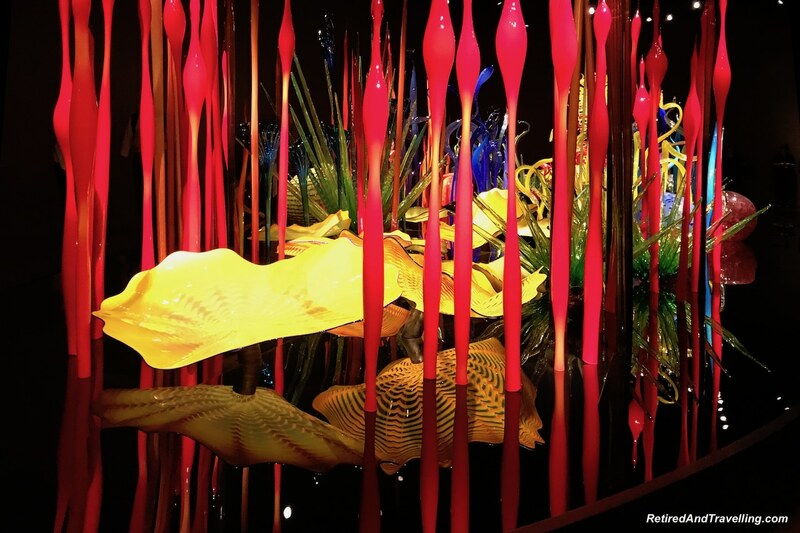 The Chihuly Exhibition had a large indoor space. Each room had a different theme and showed the different ways that glass can be made into colourful art. The Chihuly exhibit continued on through a glass house and out into the garden. 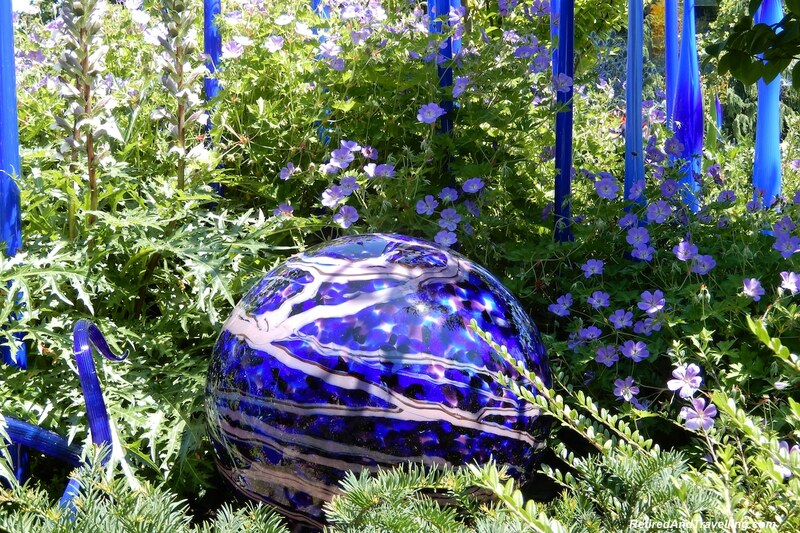 This outdoor space provided a great blend of nature’s colour and artistic glass. On this visit to Seattle, we had great weather for the whole week. The skies were blue and cloudless. 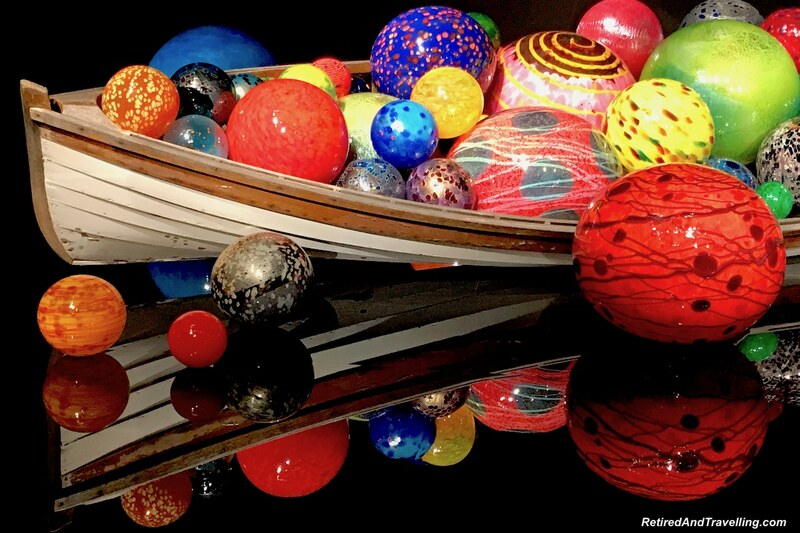 We took advantage of the combo ticket for the Chihuly Exhibition and a trip up the Space Needle. There was a great view out over Lake Union and the downtown area. The horizon was a little hazy but we could see the mountains on many sides. 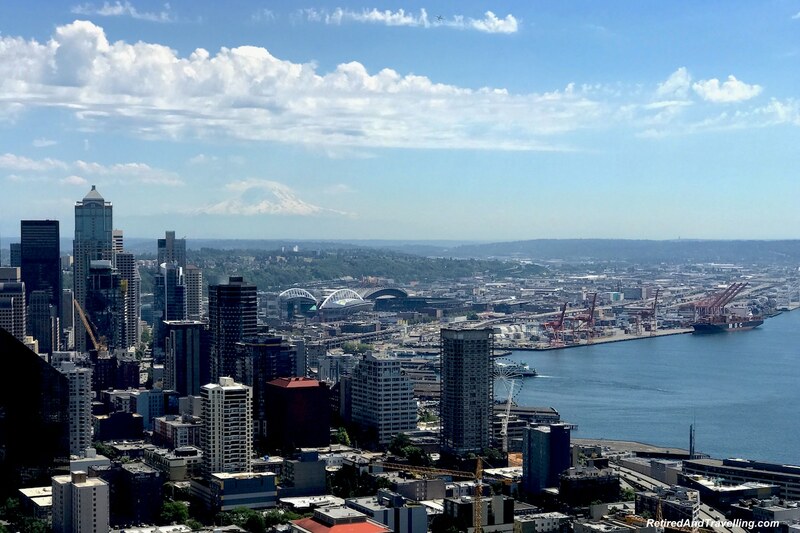 If you get good weather, heading up the Space Needle would be one of the things to do in Seattle to get a view from on high. If you don’t want to fight the crowds, you could also go up to the top of the Columbia Centre. This is a higher view and one many people don’t get. 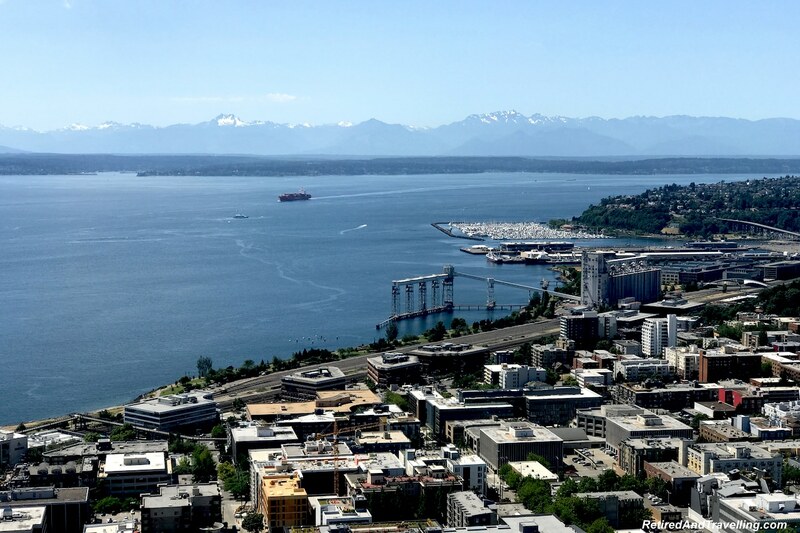 There are so many things to do in Seattle. Some you may want to see once but many you will want to repeat. We always head back down to the Public Market. It is a great place to get great fresh seafood. 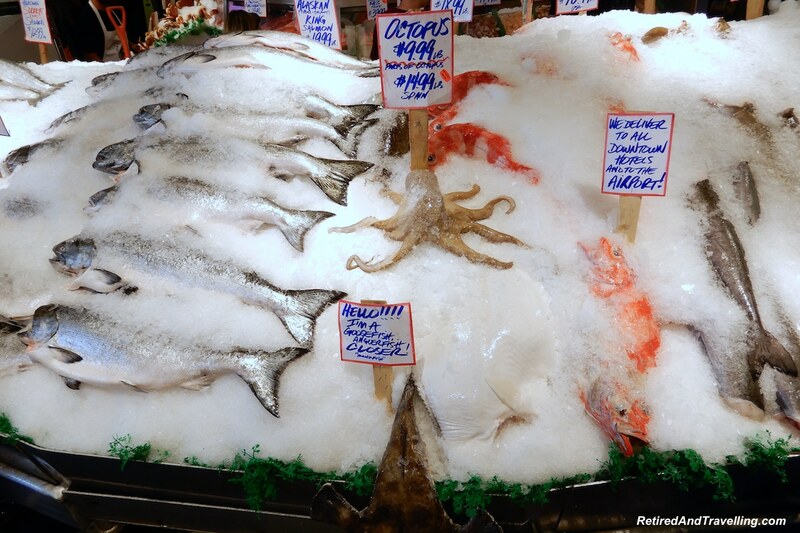 You can find a delicious meal or watch the vendors throw the seafood around. Seattle is a great coffee town. There is a coffee shop on almost every block. But of course, Seattle is also the home of the original Starbucks. If you don’t want to head to the waterfront to visit the original Starbucks location with the original logo, you will find lots of Starbucks stores around town. There is a large ferris wheel on the waterfront. We have seen it from various angles, but our friends Pam and John did visit. They got the greatest views from the ferris wheel when they visited early one morning. We found lots of things to do in Seattle on a return visit. Coming back to Seattle, the pace was lazy. We found some new treats and re-visited some old ones. 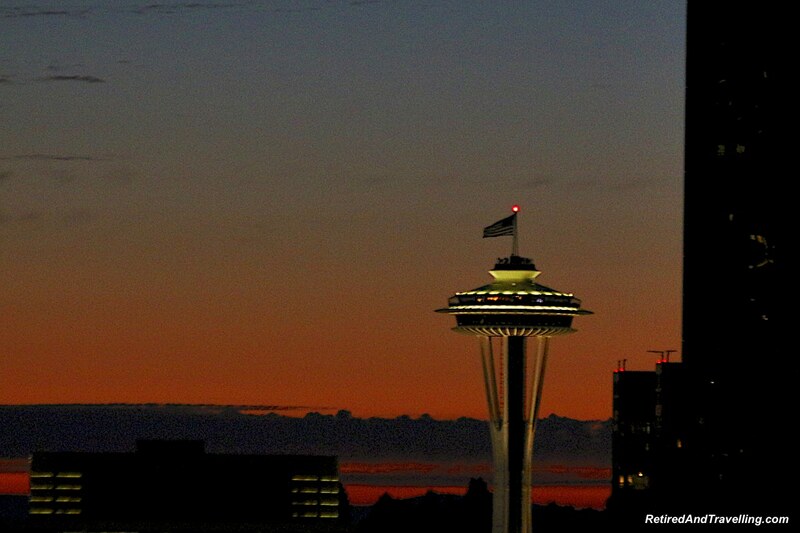 If you come to Seattle once, you will want to return. 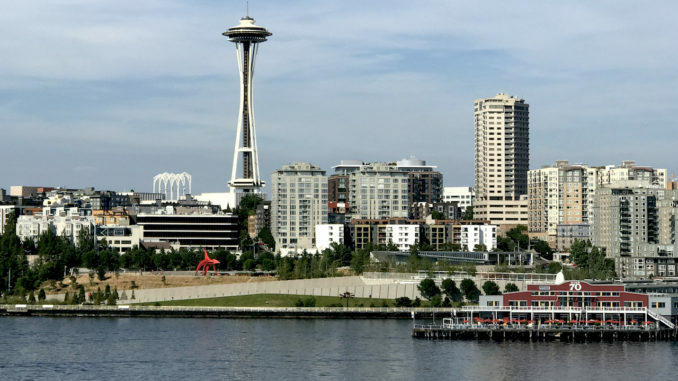 If you start your Alaska cruise in Seattle, plan to spend a few days at the start or end of the cruise. What is your favourite of the things to do in Seattle? What did you leave for a return visit?